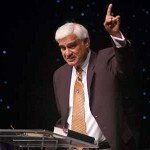 Ravi Zacharias of RZIM is one of my favorite apologists. His Youtube video channel has over 2,000,000 views and I could spend a day watching each video. The strength of his ministry is an apologetics and philosophy. If that is your evangelism style, his material will help you.